"Apples and Herefords Help Each Other to Perfection"
Roger grew up in Lethbridge, Alberta. He spent his summers in Oyama enjoying many water sports, horseback riding and helping out on the farm. Roger and his wife Diane Courchesne moved to the Ellison homestead in 1989. Roger took over the operation of Kalwood Farms in 1994. Roger and Diane along with their three children Julia, David, and Rebekah enjoy family life in the Okanagan and extend a warm welcome to all! "Kalwood" had its origin in Kalamalka and Wood lakes - "Where Apples and Herefords Help Each Other to Perfection". This was referring to the practice of feeding apple pulp from the Woodsdale juice plant as winter cattle silage, while in the spring, manure from the animals was spread on the orchard land. 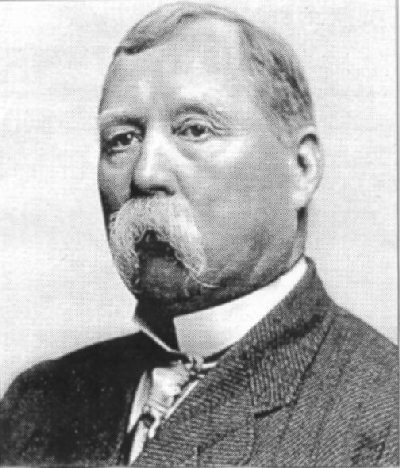 Price Ellison, as Minister of Agriculture and as an orchardist, was involved in the formation of the Vernon Fruit Union. Price Ellison was born in 1852 in England and arrived in the Okanagan in 1876. From his early start as a blacksmith, he soon became one of the area's largest ranchers. Price later became provincial constable and chairman of Vernon's first school board and in 1898 was elected as a member of the provincial parliament for Yale East. Vernon Ellison, born in 1899, was the son of Price Ellison. 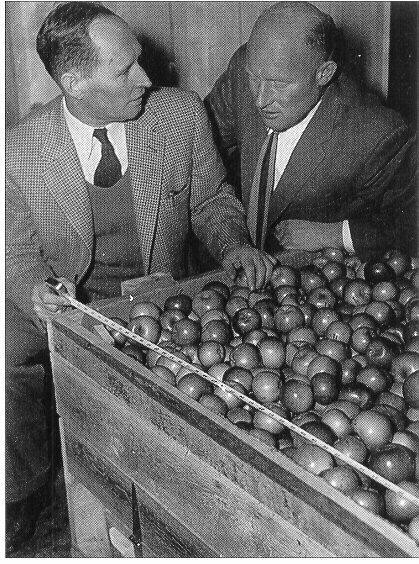 Vernon became a director of the Vernon Fruit Union in 1932 and later became the co-operative's President from 1949 to 1969. Vernon Ellison held a prominent place in both provincial and national agricultural affairs. In addition to his connection with the Fruit Union, he was both director and president of the Associated Growers of B.C. (1948-1968), and a director of the B.C. 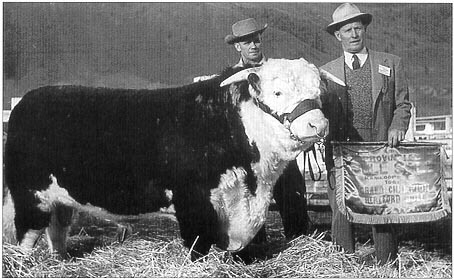 Beef Growers Association (1944-1967), to name a few of his many accomplishments. Ken, grandson of Price Ellison, was raised in Oyama and started helping out around the farm at a very early age. After earning his Bachelors Degree in Agriculture, Ken returned to Oyama to work alongside his father, Vernon, on the farm. Ken continued to operate Kalwood Farms until 1994. Mary, daughter of Vernon and Mabel Ellison, was born in 1935 and grew up in Oyama. After high school she went to the University of British Columbia to study agriculture, graduating in 1957. There she met her future husband, Charles Bailey. After university Mary and Charles settled in Lethbridge Alberta, raising their three children Monica, Roger, and Seasonn. After living for 30 years on the prairie, Mary and Charles retired to Armstrong in 1989. They enjoyed the solitude of country living, including helping their son Roger by pruning apple trees in the spring and enjoying the harvest in the fall. They also enjoyed organic gardening on their 20 acres of land.